“You are responsible for your actions, not your intentions.” -Paulo Coelho; born August 24, 1947, author of "The Alchemist." Since June is about the middle of the year and will be at its close, one can either look ahead or reflect on the past equally. One of the things that your editor hopes everyone is looking ahead to is reading more and writing more. As a 'supporting member' of Amazon dot com (they send books, your editor sends money) it was quite a treat to receive a one day free offer from one of my Face Book friends, Robert P. Sharpe, whose book "Joy Potential; Where You'd Least Expect To Find It" was a Kindle download. Having never used Kindle, this writer was delighted to find it was also free to be used as "Cloud Kindle" on the computer. Promptly downloading both brought a delightful experience, with 138 pages in clear readable font, and a story line to hold your attention, Sharpe eased in some spiritual truths that are also highly practical. For anyone currently seeking employment, this book which is also available in hard cover from Amazon, will help you prepare yourself to be a more desirable employee, with the added bonus of becoming a nicer person. Sharpe is the founder of BITEradio.me - Bringing Inspiration To Earth radio. Established in 2010, BITEradio.me was created to provide a source of positive programming designed to enlighten and entertain. A former corporate trainer, R.P. 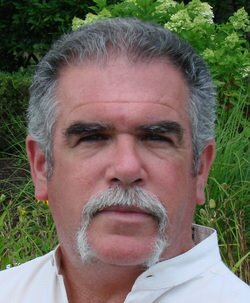 Sharpe has more than 25 years experience in the study of metaphysics and more than 10 years radio experience both broadcast and Internet-based. Eric Shackle of Australia, writes about the shocking death of a British contest winner, in "Eggheads." 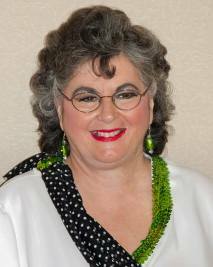 Peg Jones ("Angel Whispers") invites readers to participate in some challenges that she and other spiritual authors are featuring on "Om Magazine." 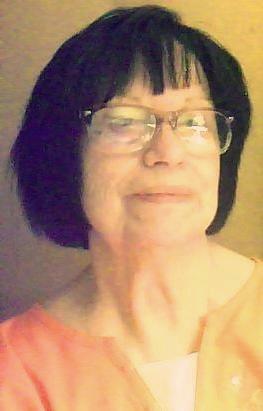 She also discusses Archangels Michael and Raphael in this months column. 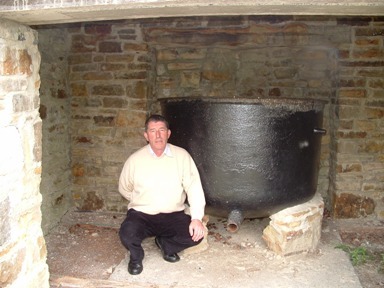 Mattie Lennon in "Irish Eyes" gives some details from the Listowel 2013 event and shares a link to a site with tales of Irish history in the days of the Famine pot. Thomas F. O'Neill, of Suchou, China, gets into the nitty gritty of defense improvements in "Introspective." Judy Kroll ("On Trek") encourages the practice of meditation. Michael John Fierro's column "By The Numbers" highlights the type information you can gain with numerology. 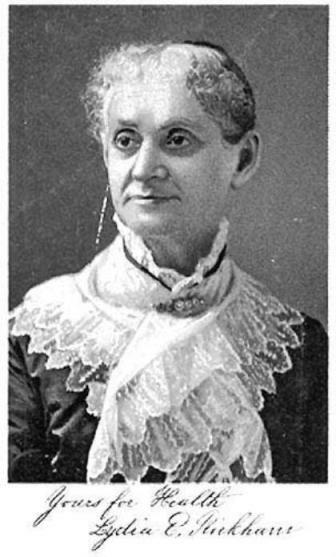 John I. Blair's column "Always Looking-People Who Made A Difference VII" discloses some interesting facts about an early female entrepreneur, Lydia Estes Pinkham. Martha A. Bradley's poems for June are Sunbeams, a picture presentation featuring photo by John P. Reilly, "Angel's Light" also with a pic by the same photographer John P. Reilly, and "Ocean's Magic." Joi Smith has one poem this issue which was inspired by a young artist who was so determined to create the perfect drawing was never able to complete it, "Dandelion Baby." Bruce Clifford's poems for June are "Fork in The Road," "Inner Peace," "What is it Like," "Many Centuries," and "The Way Things Used to Be." The poem by Phillip Hennessy was written in response to my Face Book post remembering Leo for what would have been his 89th birthday, May 18, and celebrates the love we had that continues to bless every day, "I'll smile for You, today." Thank you, Phillipo. The new chapter in the adult fantasy with rabbits by Mark Crocker is "Rabbo II, Chapter 15-The game begins." Previous chapters of this tale can be accessed by clicking the author's name. See you in July! Again, we thank our co-founder and webmaster Michael Cranner, for his continued support of our creative activities. Couldn't do this without you, Mike. 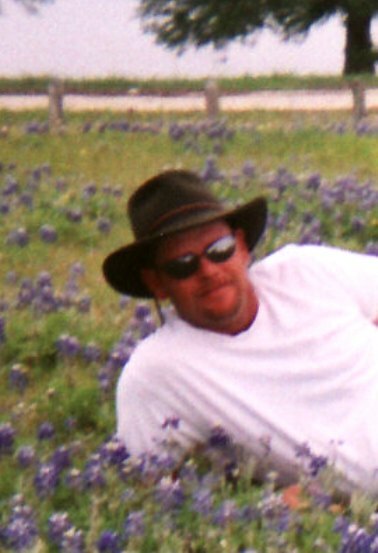 Picture shows your editor's oldest grandson, Luke Wadford, relaxing in a bed of Bluebonnets. Angels are around you and keeping you calm. Angels are helping you to feel the peace within your heart. Let the angels take care of your worries and let them help to show you the way to positive outcomes. When the angels guide you to safety and peace know that Archangel Michael is there for you, along with your guardian angel. Archangel Raphael is with you also. He is helping you to heal the pain that is in your heart and he will replace the pain with unconditional love and healing. Archangel Michael is the angel of protection and safety. He will guard you from people that may be negative or unkind you. He keep you safe from harm when traveling and when dealing with a sticky situation. He is the highest archangel and closest to God. His name means “Like God.” He comes to you immediately when you call on him for help. He is also the angel that works with policemen as he is the protector of mankind. There is such a peaceful, knowing when he is around you. You feel his love around you in a very profound way. Archangel Raphael is the angel that helps us with healing, whether as personal or as being a channel of healing for others. He will be there helping you to heal, giving you guidance whether it’s for yourself or others. His presence is very powerful yet not as powerful as Archangel Michael’s energy. It’s a bit softer yet very strong too. Another way to communicate with AA Michael and AA Raphael is to write to them, and ask the questions that you may have for them. Then after you have written to them about what is on your mind you can write a letter back as if it was from them. You will be surprised what you may receive in doing this exercise. The angels want to help and guide anyway they can. They do believe in freewill, so they will respect your wishes if you do not want their help. I want to take a few minutes just to write about a 30 Day Challenge OmTimes Magazine is sponsoring for their readers. There are about 32 experts in different aspects of spiritual, personal, emotional and physical growth. Each expert has a particular topic and challenge for the reader, for each day in June. I have sponsored a challenge too, which is offering an angel message for each day in June, along with a journal exercise. The challenges are quite interesting and enlightening. You will also be able to interact with the experts who are sponsoring the challenges. Wishing everyone a happy June. On Wednesday 29th May the 42nd Listowel writers’ Week was opened by author and Broadcaster, John Bowman. Mr Bowman has broadcast on the National airwaves since 1960. His latest book window and Mirror: RTE Television, 1961-2011 is a comprehensive history of the National Broadcaster. Music was provided by, five times Oireachthas na Gaeilge winner Noel O Grady (pic above). Author Jane Urquhart described his singing as Superb, musically and emotionally.” Which is not surprising since he has graced venues such as Vicar St, the National Concert Hall, Berlin, Sarajevo and Russia? His debut album, The Enchanted Way has received universal acclaim. The high point of the evening was the announcement of the winner of the Kerry Group Irish Novel of the Year award worth €5,000. 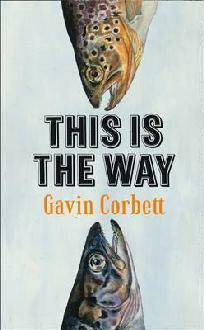 This year’s winner is Gavin Corbett for his novel This is the Way. The John B. Keane Lifetime Achievement Award went to John Montague (pic below) who finished his acceptence speech with, "Long live the book and long live Listowel Writers' Week." It was a late night in the Listowel Arms but yours truly made it to the Morning Walk on Thursday Morning. This was an evocative stroll through Listowel in the footsteps of two literary giants John B. Keane and Bryan McMahon. With local historian Vincent Carmody as guide there was no shortage of song, story and north Kerry folklore. Anybody who was ever in Galway or who has watched TV on Christmas Day will be familiar with the film The Quiet Man starring John Wayne and Maureen O Hara. Not everyone will know that it was based on a short story of the same name written by Kerryman Maurice Walsh. It was published in the Saturday Evening Post on 11th February 1933 and the rest, as they say, is history. And now Irish-American writer Frank Mahon has adapted it for stage and that’s what I forfeited lunch to see in Saint John’s Theatre and it was well worth it. I missed Colm Toibin’s reading in the Listowel Arms but I couldn’t be everywhere. Dubliner, Colum McCann appeared in the Listowel arms at five o Clock, a quick look into Amy Sheehy’s Art Exhibition in the Seanchai Literary & Cultural Centre and it was time to go back to the “arms” for Across the Waves, the experience of migration in contemporary Irish writing. A great experience but I had to leave prematurely to attend I Do Not Like Thee Dr. Fell, a play by our greatest living playwright. Later in the evening Poets Corner an open mic session went on until . . .I’m not telling you! Friday; The day (or my day anyway) started with Walk in the Shadow of the Famine, a walk around the famine trail of Listowel where we learned where thousands of victims were buried in mass-graves. The two wonderful tour guides were John Pierce and Michael Gueran. I learned of a website www.irishfaminepots.com which gives a lot of information and some lesser known facts about the great potato failure. It is the brainchild of author and Donegal man John Cassidy. Further details from: irishfaminepots@gmail.com. Diverse Voices is a Tralee group of writers whose work is a must. They were in the Listowel Arms from twelve o clock. Flann’s Your Only Man, a one man show by Val O Donnell, based on the works of Flann O Brien was a howl. Book Launches by Peggie Gallagher and Gabriel Fitzmaurice, in the Plaza Centre and Dermot Bolger in Saint John’s proved to be a very entertaining evening. Mapping the Irish Famine was a revelation. Riveting discussions with Thomas Keneally, John Crowley, William J. Smyth and Mike Murphy was a wonderful education. There are more than 100 events at the festival and by the time you read this I’ll have fitted in a fair few. Yes, that Lydia Pinkham. Lydia Estes Pinkham (1819–1883) was an iconic concocter and shrewd marketer of a commercially successful herbal-alcoholic "women's tonic" meant to relieve menstrual and menopausal pains. She was an innovator in the health field and the first woman to be nationally recognized because of a product. Born in Lynn, MA, to an old Quaker family, Lydia Estes was educated at Lynn Academy and worked as a schoolteacher before marrying. The Estes were strongly abolitionist and anti-segregation, claiming fugitive slave and abolitionist leader Frederick Douglass as a neighbor and friend. Their household was a gathering place for such abolitionists as William Lloyd Garrison. In the 1830s the Estes broke from the Quakers over the slavery issue, and Lydia eventually became a Unitarian. She joined the Lynn Female Anti-slavery Society when she was sixteen; in the controversies that divided the abolitionist movement during the 1840s, she supported the feminist and moral positions of Nathaniel P. Rogers. Her children continued in the anti-slavery tradition. Lydia married Isaac Pinkham in 1843. Like many women of her time, Lydia brewed home remedies. Her remedy for "female complaints" became very popular among her neighbors, to whom she gave it away. Her ingredients were generally consistent with the herbal knowledge available to her at a time when the reputation of the medical profession was low. Medical fees were too expensive for most to afford except in emergencies, and medical remedies more likely to kill than cure. In a day when the mainstream treatment of menopausal conditions was sometimes surgical removal of ovaries — with a mortality rate of 40% — it can be argued that at the very least Pinkham's remedy followed the sound medical principle of "First, do no harm" — a maxim widely ignored by most of the era’s physicians, who prescribed harsh chemicals, including poisonous mercury and lead, and performed rough surgery in septic surroundings. Many preferred to trust unlicensed "root and herb" practitioners and women like Lydia who were prepared to share their domestic remedies. Herbal ingredients, such as Black Cohosh, have been traditionally used by a number of Indian tribes, in Chinese medicine and in western medicine, which gives credence to at least some effectiveness even if double-blind tests were not done to confirm their usefulness. Although scorned by organized medicine, her holistic philosophy predated by a century the “wellness” campaigns of our time. The persistence of Mrs. Pinkham's compound long after her death is testament to its acceptance by women who sought relief from menstrual and menopausal symptoms and to Lydia’s pioneering marketing approach, which made her the first nationally known businesswoman. When her husband was financially ruined in 1873, son Daniel suggested making a family business of her remedy. Lydia first made the compound on her stove, then its success enabled production transfer to a factory. She answered letters from customers and likely wrote most of the advertising copy herself. Mass-marketed from 1876 on, Lydia E. Pinkham's Vegetable Compound became one of the best-known patent medicines of the 19th century. Lydia's true skill was in marketing her product directly to women, probably the first product successfully marketed explicitly to women. She was credited with the company’s slogan “Only a woman can understand a woman’s ills.” Her face was on the label and her company consistently used testimonials from grateful women. Advertising urged women to write to Mrs. Pinkham. They did, and they received answers. She became the Ann Landers of the 19th century. 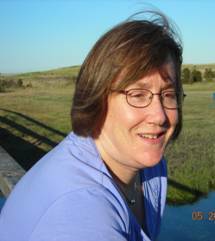 In fact they continued to write and receive answers for decades after Lydia Pinkham's death. These staff-written answers combined forthright talk about women's medical issues, advice and, of course, recommendations for her product. 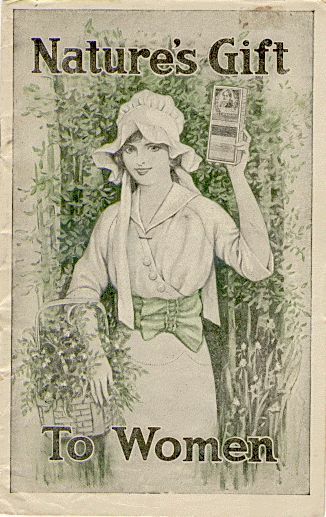 Lydia's famous face appeared on many of her advertisements and trade cards, and she became synonymous with relief of monthly female illnesses. In the long run, the medicine paved the way for a deeper understanding of women's hormonal fluctuations. Many modern-day feminists admire her for distributing information on menstruation and the "facts of life" and consider her to be a crusader for women's health issues in a day when women were poorly served by the medical establishment. 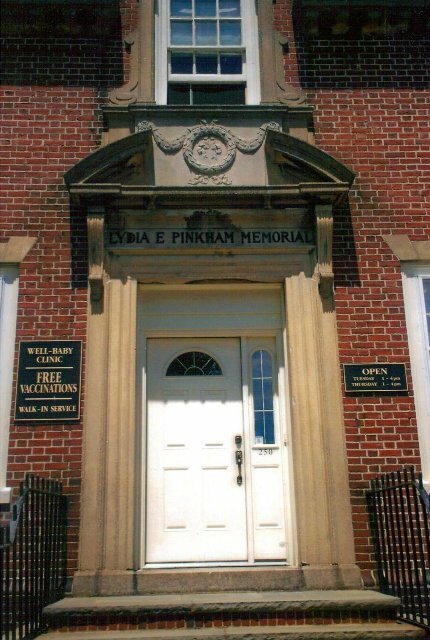 In 1922, Lydia's daughter, Aroline Chase Pinkham Gove, founded the Lydia E. Pinkham Memorial Clinic in Salem, MA. The clinic still operates as a well-baby clinic. Two of Lydia’s sons died of tuberculosis in 1881. 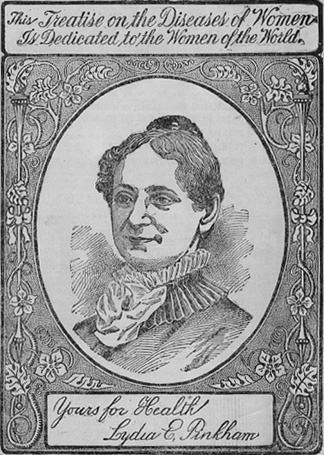 The following year she suffered a paralyzing stroke then died during the spring of 1883, at age 64. Her surviving daughter and son continued to be successful with their mother’s famous product, and the company reached a sales peak of $3 million in 1925. In a considerably altered formula, it is still available today. A dark cloud has cast a shadow over my favourite quiz show, BBC-2’s Eggheads. We in Australia watch it daily at 5pm on ABC-1, but we see it more than a year after it’s broadcast in Britain. “A pub quiz champion who appeared on the popular general knowledge show Eggheads has killed himself – less than 48 hours after the episode was aired on TV”, Suzannah Hills reported in the London Daily Mail on January 20, 2012. “Council worker Max Thomson, 49, and his teammates successfully defeated the Eggheads on the daily BBC show, winning £5,000. His friend, Mr. Pendreich, said, “Max came to my house with his mum and sister to watch Eggheads and was his usual cheery self. It was the first time I had seen the show, and I had never seen him so happy as he was at the end, when he hugged David, one of the other guys in the team. Eggheads is a BBC quiz show created by 12 Yard Productions, first broadcast in 2003, and co-presented by Dermot Murnaghan and Jeremy Vine. For the 2008 series, Jeremy Vine was brought in to present on nights when Murnaghan was hosting the spinoff series Are You an Egghead?. This happened again from October 2009 while Murnaghan presented the second series of the spinoff show. Since the spin-off show finished, Jeremy Vine has continued to host the second half of each series, which broadcasts 52 weeks a year. The show pits a team of five 'Eggheads' (made up from seven highly regarded quiz and game show champions, rotating each episode) against a series of teams of five 'challengers' who in each episode attempt to beat the Eggheads through a series of rounds. It is normally shown weekdays every week. Daphne Fowler (née Bradshaw, also formerly known as Daphne Hudson, now 74, was born in Warwick, Warwickshire, England, is an English retired bank secretary and game show champion who currently resides in Weston-super-Mare. Since taking early retirement, she has taken part in many televised game shows. She has won many titles, including winning Fifteen to One (twice), Going for Gold and Brain of Britain. She is currently taking part in the game show Eggheads, where she is one of the team of seven game show champions challenged daily by a new quiz team. Daphne has been described as "Britain's best known female quiz contestant". Judith Cynthia Aline Keppel (born 18 August 1942)  was the first one million-pound winner on the television game show Who Wants to Be a Millionaire? in the United Kingdom. Alice Keppel (born October 14, 1869, died November 22, 1947) was the most famous of the mistresses of King Edward VII. She was the great-grandmother of Camilla, Duchess of Cornwall. Pat Gibson (born 19 July 1961 Galway, Ireland) is an Irish quiz player. 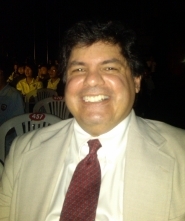 He is a multiple world champion in quizzing and one of the world's most successful quiz players. He is best known for winning several quiz shows and being a panellist on Eggheads. He was born and educated in Ireland but has lived in the United Kingdom for many years. 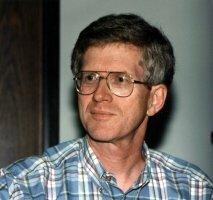 Christopher John Hughes (born 14 August 1947, in Enfield, Middlesex , U.K) is one of Britain's leading quizzers. Hughes was educated at Enfield Grammar School and is a retired train driver and railway worker. 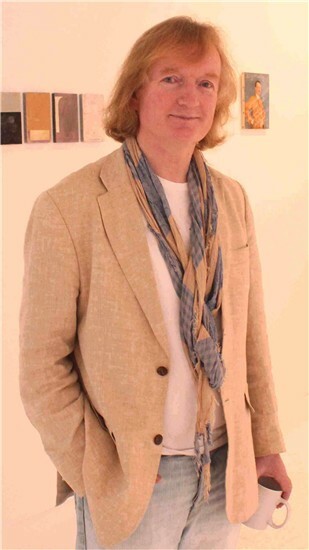 He has been a winner of Mastermind (1983), International Mastermind (1983), and Brain of Britain, 2005. He is one of only five people ever to have won both Mastermind and Brain of Britain. He also appeared on The Weakest Link and was voted out in the final elimination round without answering one question incorrectly during the whole show, unique in that he was the only contestant in the gameshow's 13 series history to achieve such a feat. He currently competes alongside other quiz champions on the UK quiz show Eggheads, in which members of the public pit their wits against them in order to win a cash prize. As of 2010, he lived in Crewe, Cheshire. Connagh-Joseph "CJ" de Mooi (pronounced [d? mo?i? ]; born Joseph Connagh, 6 November 1969, Barnsley, South Yorkshire, England), is a professional quizzer[clarification needed] and until August 2012, was the youngest panellist on the BBC television show Eggheads. Born Joseph Connagh, he adopted the surname de Mooi when modelling; which he translates as Dutch for "the Handsome man", though a more literal translation would be "the beautiful". In December 2011 de Mooi announced he had left Eggheads permanently in order to pursue an acting career; he appeared in broadcast episodes until August 2012, and was replaced on the show by Dave Rainford. Meditation is a common practice for many people and it is free. It doesn’t take anything but investment in time. Even if you start out with a ten minute session, it works wonders, for your body, mind, and soul. Meditation is basically a “timeout” for your mind. During that timeout, we can connect to all there is. We can find answers to any problems we might have, we can experience “the other side”, and we can learn many things while being free from the clutter of our mind. Thoughtless awareness is one of the ways meditation is explained. We become aware without thought. Aware of what you might ask. We become aware of who we truly are. We are not our mind. We are not our body. We just ARE. We are spiritual beings having a human experience as Chardin said. What is it like to be invisible? I try to imagine that because without a body we wouldn’t have any physical or mental baggage. We would just BE. In the just being state we become aware of so much more. We continually become aware to who we truly are and not the illusion of the physical. I sometimes will get into the pool, and float, eyes closed, mind not spitting jibberish, and living , feeling, and breathing the now, the present. It is such a peaceful process. There are many ways to meditate, to find our inner peace, and get answers to questions we constantly ask. It doesn’t matter what others say or think, because when we experience what the universe has to offer, no one can take that experience away from us. It is ours and ours alone. It is our own time and space engagement. The journey is wonderful, full of surprises, and truths are constantly unfolding to help lighten our load. Give your mind a break, and soar to many heights. Envision for yourself the knowing of true freedom. Since we are energy, thru meditation, we can experience the energy of life. China has been in the news quite a bit lately especially with the recent reports of the Chinese Government stealing sensitive military defense designs. There have also been reports of cyber intrusions into top U.S. companies from China where intellectual property has been stolen. President Obama will be meeting with China’s new president Xi Jinping next month and many topics will be on their agenda. The accusations against China and their online tactics will surely be high on the agenda. The Chinese Defense ministry has already rebutted the U.S. pentagons claims that U.S. military secrets are systematically being stolen by the Chinese. The Chinese ministry of Defense has also pointed out that China has been producing its own weapon systems without the need of stealing U.S. secrets. China has also released a statement stating that the US remarks are a misjudgment. First it underestimates the Pentagon's security capabilities, and second it underestimates the Chinese people's wisdom and know-how. In another statement directed at the U.S. from the Chinese Defense department - their statement reads in part - China is fully capable of safeguarding national security, requires the construction of weapons and equipment. Let's just say, most recently, China's aircraft carrier, new combat aircraft, transport aircraft and Beidou satellite navigation system and other equipment to fully illustrate this point. The Soviets sold one on their Aircraft carriers ‘the Riga’ to China in 1988 and the Chinese launched it as the ‘Liaoning.’ The Chinese shipyards are currently working on their own Aircraft carrier designs. The U.S. Pentagon, however, is accusing the Chinese Government as implementing stolen U.S. military technology into their current Navel defense. The Chinese Government is investing heavily in its aerospace technology and its F-15 fighter Jets are becoming multi-roll aircrafts with stealth capabilities. The Chinese Navy is also testing their F-15s for aircraft landings. China also has 16 satellites covering the Asia-Pacific region - ‘sat-nav system Beidou (BDS).’ The Chinese Government has mandated the use of its satellite navigation system by civilians and they plan to go global by 2020. The United States Science Board released a statement stating in part that the United States cannot be confident that our critical Information Technology (IT) systems will work under attack from a sophisticated and well-resourced opponent utilizing cyber capabilities in combination with all of their military intelligence capabilities. They have sited thefts of classified data on the F-35 Joint Strike Fighter, F/A-18 fighter, and V-22 Osprey tilting-rotor aircraft, as well as Black Hawk attack helicopter design plans. Specifications for the Patriot missile system and Aegis and Terminal High Altitude Area Defense anti-missile systems have also been compromised. Technology is advancing in leaps and bounds and the U.S. defense department needs to find better ways in encrypting its sensitive data from cyber attracts. The threat is much greater than mere thefts from cyber thieves and the potential to cause havoc by these cyber intruders is now a reality. Cyber warriors have the potential to disable electric grids which can cause blackouts of entire regions. Air traffic control systems can also be shut down by sophisticated and organized cyber-attacks. The U.S. intelligence agencies need to deepen their knowledge and understanding about our adversaries' and develop better offensive software. We must also find better ways to safeguard our US nuclear forces so that they are less vulnerable. Perhaps setting up better Cyber training programs within the Department of Defense and to recruit and train the online security teams. The more interdependent we are becoming on the world-wide-web the more venerable we are from advisories that want to do us harm. Our greatest defense when it comes to our National Security is greater offensive measures in offsetting whatever threats may come our way. In the early 60s, Betty Everett sang, “It's in his kiss...”. In the 80s, Peter Gabriel told us it was “In Your Eyes”. But, it was John Lennon in the late 60s who provided the most accurate depiction of how to best understand the man or woman in your life, “You Know My Name, Look Up My Numbers”. Now here, in 2013, I would like to introduce the ancient esoteric science known as Numerology, to you. Numerology, the music and information of who you are as determined by your given name and your birth date. In use for thousands of years, and based upon the numbers 1-9, the alphabet, your birth date, and your name as it is spelled on your birth certificate this modality provides insightful information, with great depth and explanation, of who you are, and more importantly, who that special person in your life really is. In the reading and interpretation of a name, the particulars of the personality can be described and understood. Points of weakness (lessons) that appear, are areas where an individual must improve their 'performance'. Does your mate have a difficult time expressing themselves on a personal level? Are all your questions answered with a 'no' or an 'I don't want to talk about it'? Check to see if they have any of the letters C,L, or U in the spelling of their complete name. If not, this is the reason behind the lack of communication. These three letters are all '3s' in Numerology and the number 3 is about self-expression, words (written or spoken), creativity and other facets of creative self-expression. The average name has one to two 3s, if there are none, than that person needs to learn how articulate that which is being felt, or that needs to be expressed. In many ways, the person must 'find their voice'. Too much 4 energy, creates an energy that may be controlling or domineering. Too much 5 energy, makes the person curious, adventurous, and depending on the placement, a person who has a difficult time with commitment. No matter the lesson, it is there for a reason, as it is a part of one's life that must be worked upon and improved. Nothing in Numerology is insurmountable. Numerology is there to assist you on your journey to self-empowerment through understanding, acceptance and (by taking) responsibility. On a personal level, it will provide YOU with a better understanding of why you are the way you are, and why that 'same guy or girl' keeps showing up. Through the improvement and increasing of your own self-awareness, will you be better positioned to attract someone who is more likely to be compatible.